Maddie took it upon herself to design, organize, build a wooden playground set and have delivered to Ulwile Island located in the middle of Lake Tanganyika in Africa. Redwood Plastics donated the plastic components and worked with R&L Carriers to donate the freight to New York. 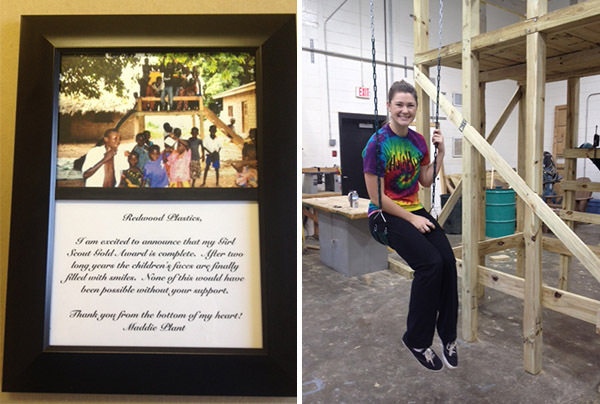 Maddie raised funds to freight the playground oversees.